Students attending Rowan College at Burlington County will soon be able to stay an extra year for their junior-year courses before completing a bachelor’s degree at Rowan University, allowing them to save more than $75,000 while earning a bachelor’s degree from one of the top 100 public universities in the country. 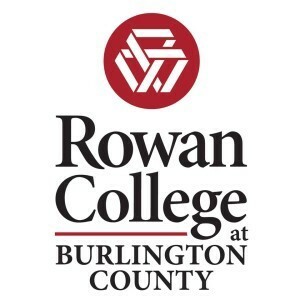 The Rowan “3+1” option with Rowan College at Burlington County (RCBC) and Rowan College at Gloucester County (RCGC) made history in New Jersey when it was approved by the NJ Presidents’ Council in June and has now cleared all regulatory hurdles. This is the first time a community college has been authorized to offer junior-year courses in the state. Initial programs will include biology, liberal studies, law and justice, nursing, psychology and general studies. RCBC is enrolling new students now and will have junior-level courses in certain programs available to existing students — or transfer students from other community colleges — in January. RCGC and RCBC partnered with Rowan University in 2014 and 2015, respectively, to create affordable paths to four-year degrees. The “3+1” program works by allowing students to stay at Rowan at Burlington or Rowan at Gloucester after completing an associate degree to take junior-year courses. Students will the transfer to Rowan University where all credits will be accepted. There students can earn a bachelor’s degree after completing senior year courses. Students are expected to save $75,000 on a bachelor degree if compared to living on a university campus for four years. To learn more about “3+1” at RCBC visit RCBC.edu/rowan/3plus1.